In honor of the Kentucky Derby this weekend, I’m posting a picture I took almost 10 years ago. This is Danzig; grandsire of multiple Kentucky Derby winners. He liked mints and made this funny face after his groom fed him a peppermint. We were impressed by this gorgeous animal and the gracious people who gave us a tour of Claiborne Farm. 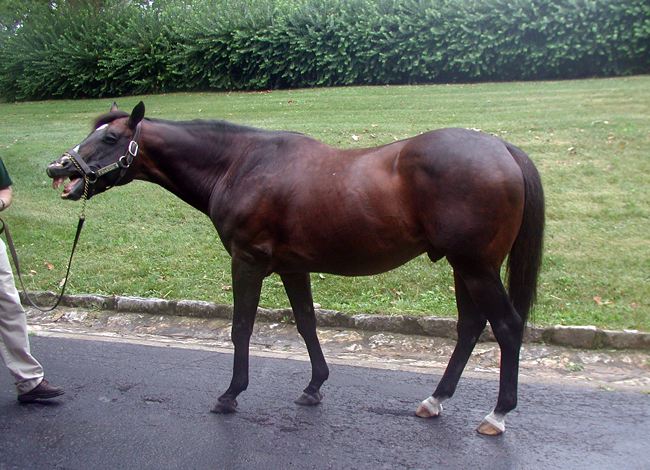 Danzig died in 2006 as one of the most influential sires in American horse racing history. As usual. Great pictures & Interesting writing. Believe it or not. Still ice on the lakes here. Incredible. The Swans and Geese and Loons are living communally I don’t think they like it much. Thanks Lakes. You still have ice–egads!! I remember why I refused to let hubby move back up north. Hope it warms up for you soon!